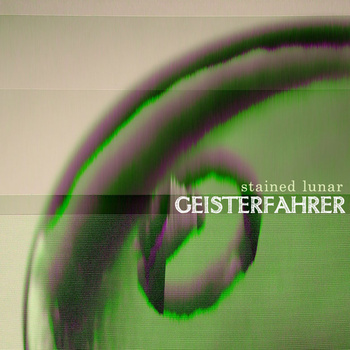 Brainwashed - Geisterfahrer, "Stained Lunar"
New Orleans duo, Geisterfahrer, expand their previous palate by appearing to reduce it. On Stained Lunar they still eschew computers but also use clearer production, silence, and darker lyrics. The result is a separation of instruments and voices which better emphasize an ethno-catatonic, hypnotic, pagan sensibility. Geisterfahrer’s 2009 release Telegraph was hailed by Backporch Revolution as arguably the label’s most beautiful release, ever. That claim was worthy, although it overlooked the fine Moog Modulations EP by Electrical Spectacle. It also introduced a hilarious criteria considering that the label is responsible for unleashing the prolific, spontaneous, sonic gambles of Potpie, not to mention the essentially unlistenable, noise-spoof, tourist-trap, art-terrorism of Uptown Cajun Allstars. In any event, Stained Lunar easily surpasses the pleasing but perhaps too densely-packed drone, thud and wail of Telegraph and gives a glimpse of the potential of Geisterfahrer. The two members, B. Aubrey and Shae Freeman, use accordion, acoustic guitar, autoharp, banjo, bombard, bs202, bulbul tarang, cello, clarinet, concert bass, conch, dilruba, drums, electric bass & guitar, mouth bow, ocean harp, percussion, saw, singing bowls, shenai, ukelin, viola, and voices. The alternating innocent and creepy voices added to my enjoyment. Some of this album is dark, mystical, space-folk which sounds like lost excerpts from the Wicker Man soundtrack. Geisterfahrer have ditched the more predictable aspects of their music in favor of delicate instrumental passages and less ambiguous vocals. Their music is now less-cluttered, more coherent and, at times, verging on the song-like. The whole album can be heard at the label website.